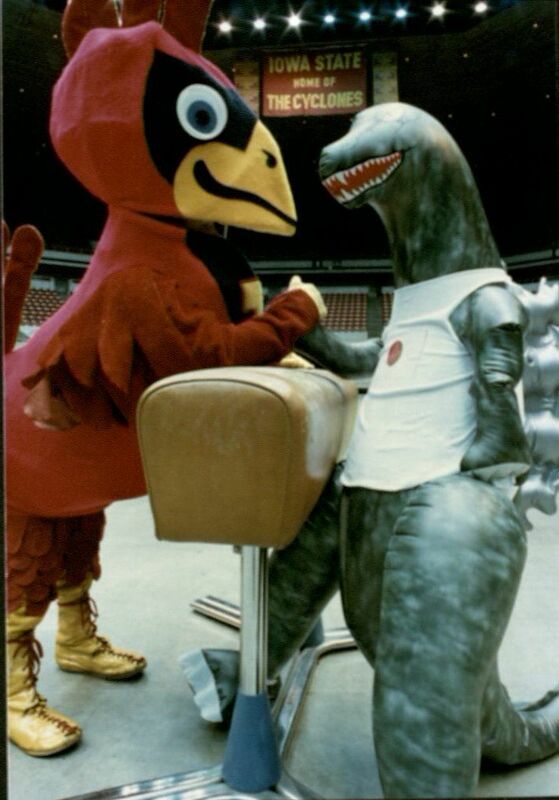 Here’s a fun image of Cy arm wrestling what looks like another team’s mascot, back in 1986. From University Photographs, box 1657. For more information about Cy, check out: http://historicexhibits.lib.iastate.edu/Cy/index.html. This Saturday, January 14th, marks the 60th anniversary of a well-remembered game in Iowa State’s basketball history: Iowa State versus Kansas. Both teams had players which would go on to have major professional basketball careers: Gary Thompson (Iowa State, #20) and Wilt Chamberlain (Kansas, #13). In the photograph above, Chamberlain is attempting to make a basket while Thompson guards on the floor. It was an exciting game, with Iowa State beating Kansas, 39-37. At the very end, Don Medsker made the winning basket. The game was Chamberlain’s first loss in college basketball. In celebration of the win, Iowa State fans invaded the Armory’s floor after the game. A number of images documenting the game are now available in Digital Collections. Although we don’t have a program from the game (please contact us if you’d be willing to donate one! ), we do have news clippings from that year in RS 24/5/0/0, box 1, folder 1, a folder of materials on Gary Thompson (RS 21/7/1), and the book “Gary Thompson, All-American” by Gary Offenburger. Additional men’s basketball records are also available in the University Archives. Tomorrow the Cyclones play the Spartans for the 4th time. The first game between the two teams was in 1958 and the last game was in 1980. Check out the series information from our 2008 ISU Football Media Guide. Cropped page 382 from the 1959 Bomb, ISU Yearbook, summarizing the Iowa State San Jose State game. Drop by the SCUA Reading Room to dig up more football facts & trivia. We’re open Monday-Friday, from 9-5. Since this Saturday is the ISU football game against University of Iowa, this week’s #TBT picture is a photograph of the ISU varsity football team 100 years ago. Go Cyclones! For more football pictures from Special Collections & University Archives, check out our Football album on Flickr and our YouTube playlist of ISU Athletics films. You can also drop by our reading room. We’re on the 4th floor of the Parks Library and open from 9-5, Monday-Friday. The NAIADS was a synchronized swimming club here at Iowa State University. Visit us in the reading room on the 4th floor and check out the NAIADS Records (RS 22/7/0/9). We’re open Monday-Friday from 10-4. This weekend the Iowa State University’s Track and Field teams (@CycloneTrackXC) are heading to Northern California for meets (click here for further details). 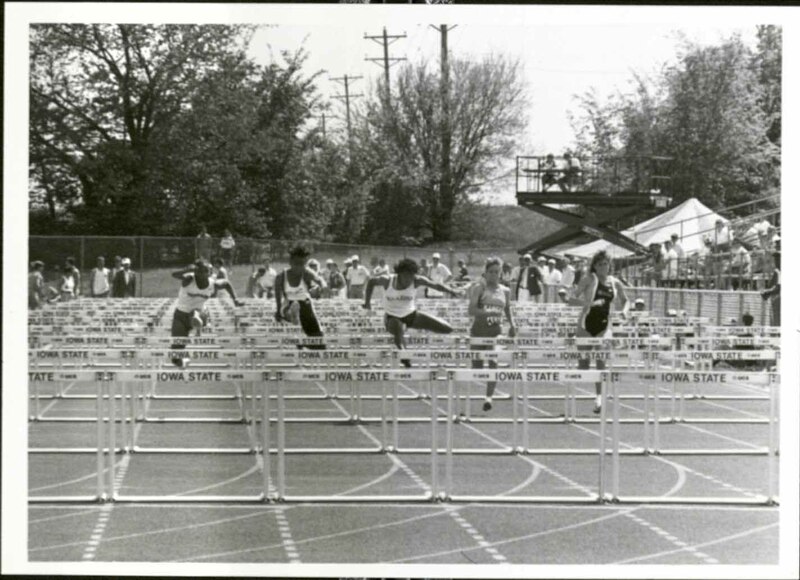 In light of a busy upcoming April full of track and field events , this week’s #TBT pictures are blasts from our Track and Field’s past. 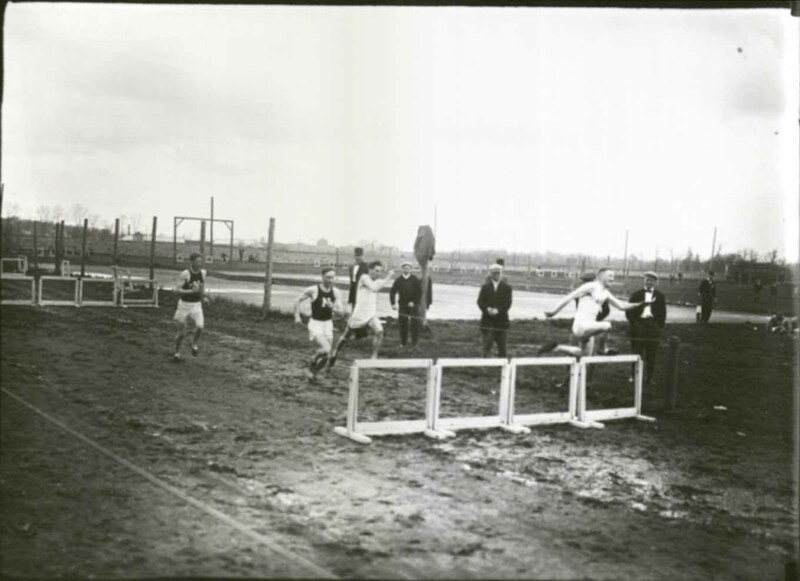 The Iowa State University Men’s Track and Field program has a history that goes back to 1905. Women’s Track and Field began at Iowa State University in 1974. The Track and Field program features many indoor and outdoor sports including, but not limited to, sprints, relays, hurdles, long and high jumps, shot put, and discus. Drop by our reading room to check out more Iowa State University sports photographs! We’re open Monday – Friday from 10-4. This is a photograph of Johnny Orr, 1990. Unfortunately, the Cyclones fell to North Carolina State in the next round, 70-66, and were knocked out of the tournament. After retiring from ISU men’s basketball after 14 years, Johnny Orr attended his very last Iowa State game November 17, 2013, once again beating Michigan 77-70. For more information on ISU men’s basketball and Johnny Orr, come see the Men’s Basketball Media Guides, RS 24/5/0/6, and the Men’s Basketball Subject Files, RS 24/5/1, here at the Iowa State Special Collections and University Archives. The Olympics are here! Which makes this the perfect time to highlight our very own Cyclone Olympians, information on and photos of whom can be found right here in the Special Collections Department. Originally I wanted to write about all of our Olympians, but there are just too many – we had four in the 2012 London Olympics alone! So, for sanity’s sake, I’m going to feature only our gold medalists. We have had seven gold medalists over the years, six of whom wrestled for the gold, and one who overcame many hurdles for it (literally). Banners dedicated to them currently hang in Hilton Coliseum. Read on to learn about our Iowa State Cyclone Olympic Gold Medalists. Glen Brand (Wrestling, 174 lbs, 1948): Originally from Clarion, Iowa, Brand (1950, Civil Engineering) wrestled for the Cyclones from 1946-1950. During that time, he lettered in 1946, 1947, 1948, and 1950. He placed 3rd in the NCAA Wrestling Championship in 1946, followed that up with 2nd place in 1947, and won the title in 1948. 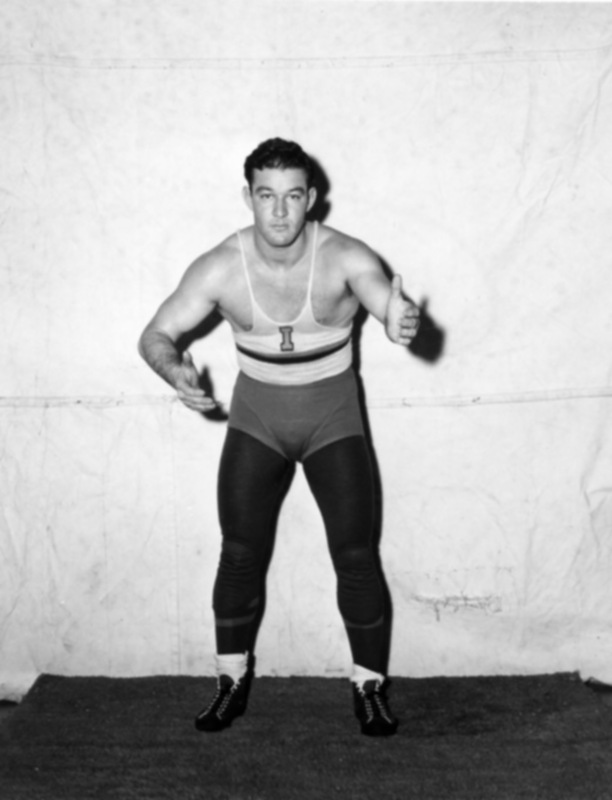 Also in 1948, he earned a spot at the London Olympics and later won gold in the 174 lb. class, returning home as a legend. Dan Gable (Wrestling, 149.5 lbs, 1972): Perhaps our most famous Olympian and wrestler, Gable (1971, Physical Education) was one of two Cyclones who won the gold in wrestling in the 1972 Munich Olympics. He never gave up a single point at the games that year. His college career was stellar as well: he was defeated only once, and that was in the NCAA finals his senior year. 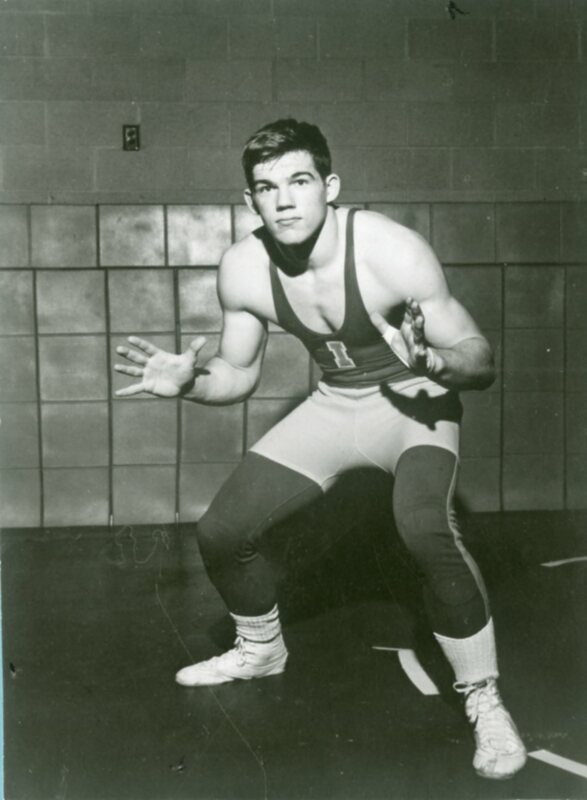 Gable came to ISU from Waterloo, Iowa, and wrestled for the Cyclones from 1966 to 1970, becoming a three-time Big 8 Champion (1968, 1969, 1970) and two-time NCAA Champion (1968, 1969). 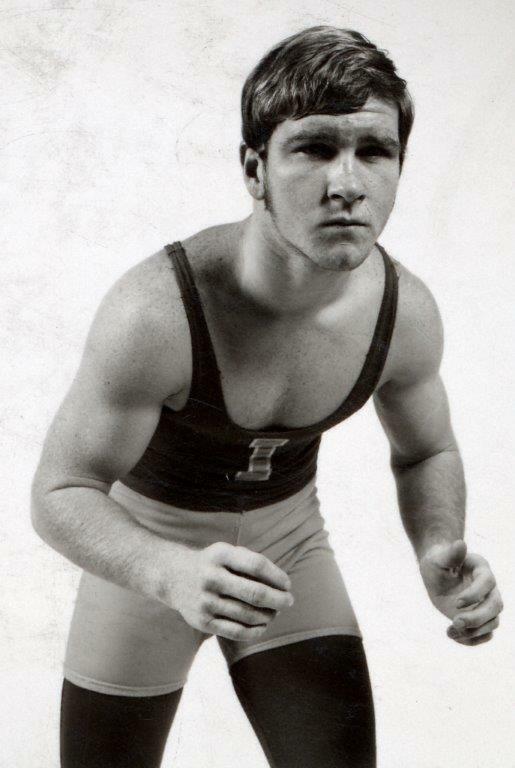 After graduating from ISU, he became head wrestling coach at the University of Iowa, where his star continued to rise as he became the U of I’s all-time winningest coach from 1976-1997. Ben Peterson (Wrestling, 198 lbs, 1972): Peterson (1972, Architecture) was also a Cyclone gold medalist at the 1972 Olympics in Munich. He later went on to win the silver in the 1976 Olympics in Montreal. From Comstock, Wisconsin, Peterson joined the ISU wrestling team in 1968 and wrestled through 1972. During his time here, he became a two-time NCAA Champion (1971 and 1972), a three-time Big 8 Champion (1970, 1972, 1973), and an Olympic gold medalist (1972). He is currently (2014) the only Cyclone wrestler to win 2 medals in the Olympic games. Our only non-wrestling Olympic gold medalist was El Moutawakel (1988, Physical Education), who won the top prize in the 400 meter hurdles at the 1984 Olympics in Los Angeles. She came from Casablanca, Morocco to Iowa State University in 1984. She ran track at ISU beginning that year until 1987. 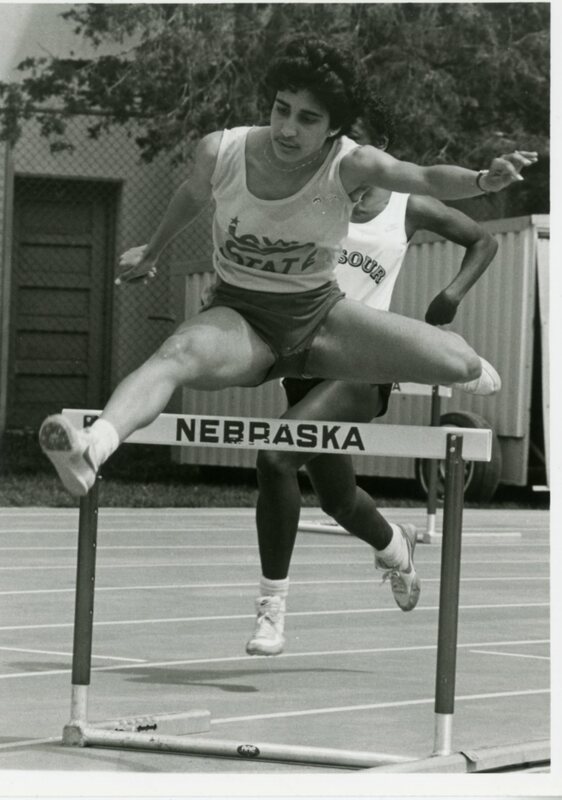 During that time, she won the 1984 NCAA 400 meter hurdle championship and became the second woman to win the Relays Triple (Texas, Kansas, and Drake relays). She overcame real-life hurdles as well while at ISU, losing her father, losing her coaches in a 1985 plane crash, and suffering a knee injury. On a happier note, however, she was not only the first Cyclone woman to win gold, she was the first African woman, Muslim woman, and Moroccan woman to win it as well. ISU’s current wrestling coach, Jackson (1991, Human Sciences), won gold in the 1992 Olympics in Barcelona. Originally from Lansing, Michigan, Jackson started his college career at LSU but when the school dropped their wrestling program, he transferred to ISU as a senior. 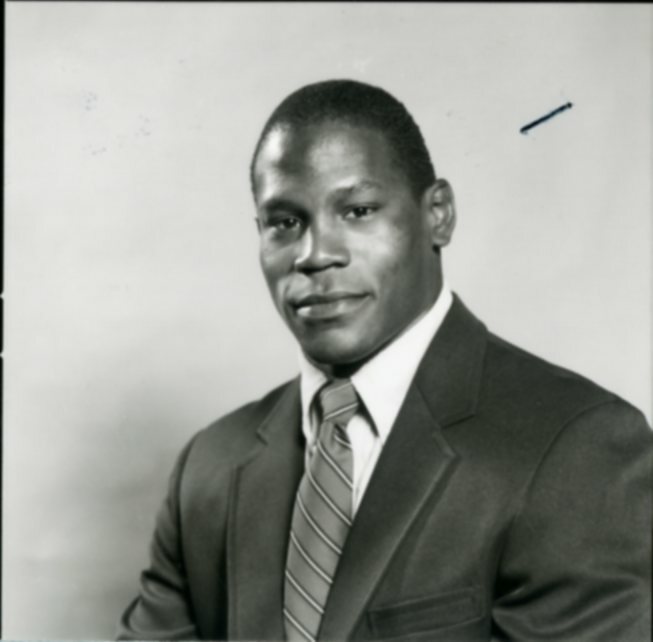 He red-shirted at ISU during the 1985-1986 season and wrestled in the 1986-1987 season. That season he helped the Cyclone wrestling team win their most recent NCAA championship. Not only is he an Olympic gold medalist, but he is also a two-time World Champion in wrestling. He is one of just five wrestlers in United States history to have three career world-level titles. Jackson took over the head wrestling coach position from fellow Olympic champion Cael Sanderson in 2009. 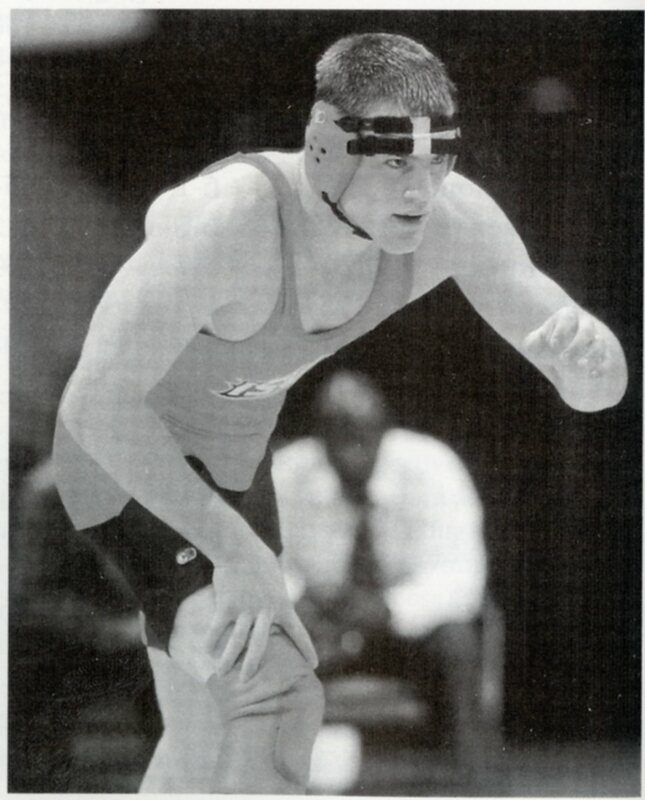 From Heber City, Utah, Sanderson (2002, Art and Design) joined the Iowa State wrestling team in 1997, red-shirting for that first season. He never lost a single match while wrestling for the Cyclones, breaking Dan Gable’s record. He also became a four-time NCAA Champion (1999, 2000, 2001, 2002) and four-time Big 12 Champion (1999, 2000, 2001, 2002). Sanderson won his gold medal at the 2004 Olympics in Athens. After graduating in 2002, Sanderson stayed on with the Cyclones and became head wrestling coach in 2004, leaving in 2009 for Penn State where he currently coaches. 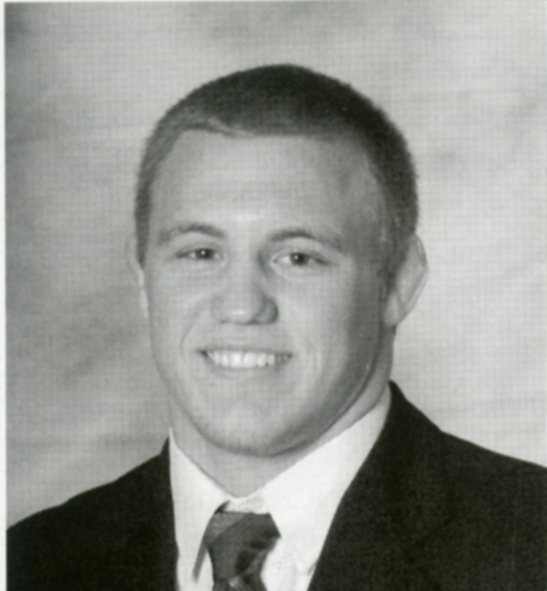 Jake Varner (Wrestling, 211.5 lbs, 2012): Varner (2010, Criminal Justice) came to us from Bakersfield, California, in 2005. He red-shirted in the 2005-2006 season, and then wrestled for the Cyclones from 2006-2010. While at Iowa State he became a two-time NCAA Champion (2009, 2010), and a two-time Big 12 Champion (2008, 2010). Varner won his gold medal at the 2012 Olympics in London, becoming our latest Olympic champion. With these seven and Iowa State’s many other Olympic athletes – including silver and bronze medalists – the Cyclones have a proud Olympic tradition going. More information on our Olympians can be found in an earlier blog post. We also have an entire blog post devoted to Dan Gable. Want to learn more about Iowa State’s wrestling program in general? We have programs, media guides, news clippings, and various subject files in RS 24/12 for your viewing pleasure. If women’s track and field is more appealing, we have news clippings, media guides, and subject files in RS 24/23. The finding aids for these and other Department of Athletics collections can be found here. Contact us or stop by, and we’ll happy to help you out! In the mean time, go enjoy the Olympics. USA! USA! A new online digital collection, containing highlights from the Jack Trice Papers and University Photographs, is available for viewing. 90 years ago this October, an Iowa State legend lost his life from injuries sustained during his first college football game. John G. Trice, better known as Jack, was born in 1902 in the small town of Hiram, Ohio. He later attended high school in Cleveland at East Technical High School, where he had a stellar football career. When his high school coach, Sam Willaman, left to coach at what was then Iowa State College, Trice followed to study animal husbandry with the ultimate goal of going south to help fellow African-Americans in their farming endeavors. While at Iowa State, Trice participated in both track and football, though he is best known for the latter. While just about everyone who has ever been associated with Iowa State knows the story of Trice’s first and last game with the college, here it is for those who are not familiar with it. On October 6, 1923 Iowa State College (now University) played the University of Minnesota in Minneapolis. Trice was excited to play in his first college football game and, according to his “last letter,” felt like he had something to prove. In the second play of the game, Trice broke his collar, but said he was alright and kept playing. Then, during the third quarter, University of Minnesota players tackled Trice, forcing him to the ground and crushing him. Although he again claimed to be fine, he was taken out of the game and sent to the hospital. After an examination, the doctors decided that he was fit to travel, and he returned to Ames with the rest of his team. Not long after, on October 8, 1923, Jack Trice passed away from internal bleeding due to injuries from the game. According to a hospital record, he died of traumatic peritonitis following an injury to his abdomen. He left behind a young wife, Cora Mae, whom he had married just that previous summer and who was devastated by the news. Jack Trice is the only athlete to have died as a result of playing for Iowa State. The night before the game, Trice wrote a letter, part of which is pictured below. It not only gives us a glimpse into what he was thinking and feeling the night before the big game, but it shows that he may have had some sense of what was to come. The first page of the letter that Jack Trice wrote the night before his first, and final, game. Jack Trice made history even before the fated football game. 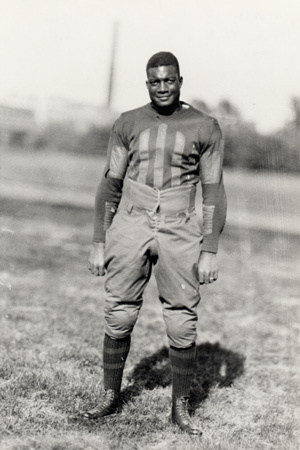 He was Iowa State College’s first African-American athlete, which is made more significant by the fact that this was the early 1920s and many schools, especially in the South, did not have integrated teams until the 1950s and 1960s. Not everyone viewed Trice’s involvement on Iowa State’s team as a good thing. The states of Missouri, Kansas, and Oklahoma all refused to let their schools play against an African-American; essentially what they said was that either Trice would not play in the games against them, or there would be no football game. As expected of that time, Trice faced prejudice and discrimination, and yet he kept going. It does seem, however, that he and his fellow teammates got along well enough. Today, a bronze statue of Trice, erected in 1987, stands near Jack Trice Stadium, the only Division I-A stadium named after an African-American. The stadium, built in 1975 to replace Clyde Williams Field, was finally named after Trice in 1997 after a long promotion to name it after him that started in 1973. It was originally named Cyclone Stadium in 1984 and the playing field was named Jack Trice Field at that time as well. Now the stadium and bronze statue stand as a commemoration of a young man who sacrificed all for his team, his race, his family, and himself. For more information on Jack Trice, in addition to what can be found in the online digital collection, feel free to contact us or stop by the Special Collections Department to view the physical collection. To see what the collection contains, click here. To learn more about Jack Trice Stadium, please see collection RS 4/8/4. Come on in and see us!